A small memorial marks the spot in Brooklyn where Lionel McClean was shot to death on February 16, 2016. 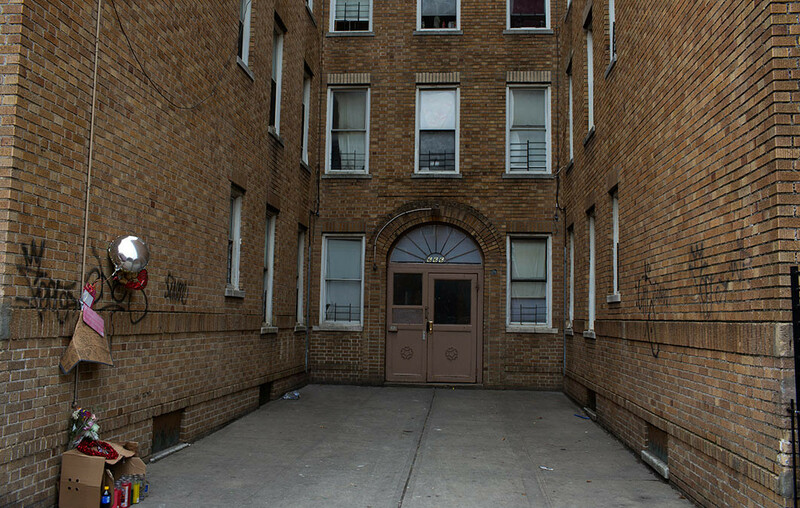 Andrew Lichtenstein’s memorial photographs of New Yorkers recently killed by gun violence was published by the New Republic and supported by an Economic Hardship Reporting Project grant. Click here to see project.